Le Cannet separated from Cannes officially in January 1777. It was once an area of great agricultural production - the Tivoli Gardens now stand on former fields - and Le Cannet has since developed south to intertwine its streets with Cannes. Cannes, Cannet, Cagnes and similar words simply mean high or high place? The Bonnard Museum is next to the Mairie. The Bd Sadi Carnot on which the Mairie and the museum stand has been modernised. And to complete the hat trick the countryside which inspired the artist Bonnard is now open to the public. In particular, the Canal de la Siagne walk has seating, fountains, pergolas and trees along its route. Bonnard's home was near the canal and he often walked along this route. His house is privately owned and not open to the public. Pierre Bonnard lived in Le Cannet from 1922 until his death in 1947 and he is buried in Notre-Dame-des-Anges cemetery. 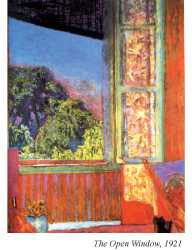 Today he is regarded as one of the top 10 modern artists and was described by Matisse as "The greatest among us". He has only come to prominence in the last few years so his work is a refreshing surprise. Vieux Cannet, the old town, is well worth visiting. For a free guided tour you need to contact the Tourist Office 48 hours in advance 04 93 45 34 27 or you can follow the yellow and blue marks on the pavement with information boards at strategic points and conduct your own tour. 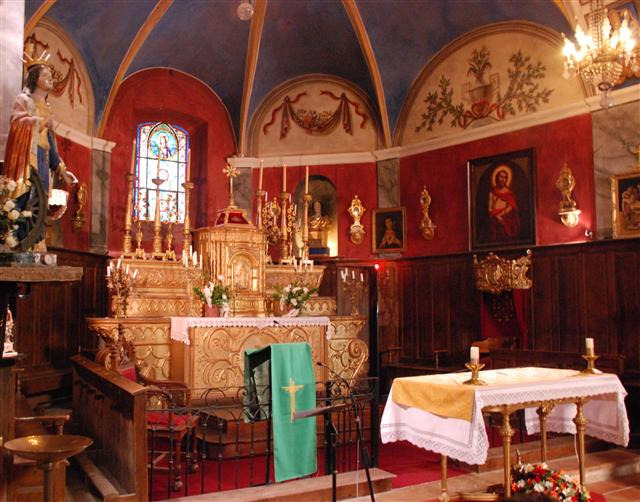 Places to visit include: St Catherine’s church, completed in 1556 - a real treasure trove; St Sauveur Chapel containing a major work by the artist Tobiasse; the Lovers’ Wall, a 1990 fresco by Raymond Peynet and Guy Ceppa; on another wall you can find the Heritage Orange Tree, a monumental fresco showing the family tree of the 140 families from Italy who founded Le Cannet in 1441. 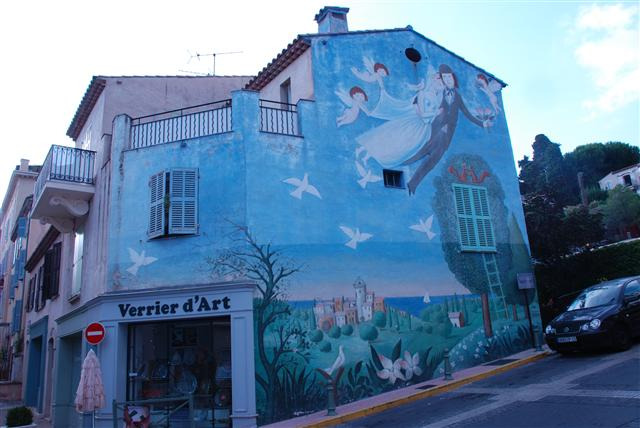 There are towers and chapels and twisting streets and artists’ work such as Bonnard and Bellini to be seen. Also in the old town are 20 or more artisans – from paintings to mosaics -working in the St-Sauveur quartier. If you want to purchase something original try a pair of sandals made at Les Artisans de cuir, 42 bd Paul-Doumer: open Mon-Wed, closed at lunchtime. The boss, Christophe Cully, used to work for the shoe divisions of St Laurent and Dior. Expect to pay 80-300 euros. He also has a shop at 4, rue Pasteur, Cannes. Cut four bitter oranges into six pieces each. Add 1.5 kilos of sugar, three quarters of a litre of 50 deg eau de vie, 4 litres of rose wine, a vanilla pod sliced in two. Then add a non treated lemon or one or two sweet oranges. Leave everything to infuse for a minimum of 30 days, preferably two months. Strain and bottle. Makes 5 litres. Good restaurants and nice bars abound - at reasonable prices - especially around the Place Bellevue which has great views of Cannes and the bay. And you can study the orange family tree while waiting to be served. In summer everyone dines outside in the square, no matter which restaurant you choose (see picture above). In winter many restaurants are only open at weekends. At Arts et Assiettes, 243 rue Saint Sauveur, in the old town, you can dine provencal or visit the 100 sq meters of exhibition space for art, music and theatre events. The restaurant and venue is open from 10am till midnight. Bistro St Sauveur at the lower end of rue St Sauveur - great food, pricey wines. You can, however, have wine by the glass here. Opposite the town hall is The Tivoli which offers an excellent lunch and is open for aperitifs. It is very popular with the locals. It changed hands in June 2016 and the new owners open for dinner as well. 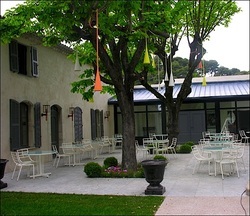 The latest hotspot is La Villa Archange** in rue Notre Dame des Anges, Le Cannet. Owned by Bruno Oger, he has lavished nearly three million euros on this venture. The venue includes l'Ange bar and Le Bistrot des Anges. In July there is a series of dinner concerts. Book well ahead for these. The jewel is the gastronomic restaurant, La Villa Archange with 26 covers. It has two Michelin stars. Reservations: 04 92 18 18 28 or reservations@bruno-oger. ​163 rue St Sauveur, Le Cannet. Follow Insider's board Le Cannet on Pinterest.